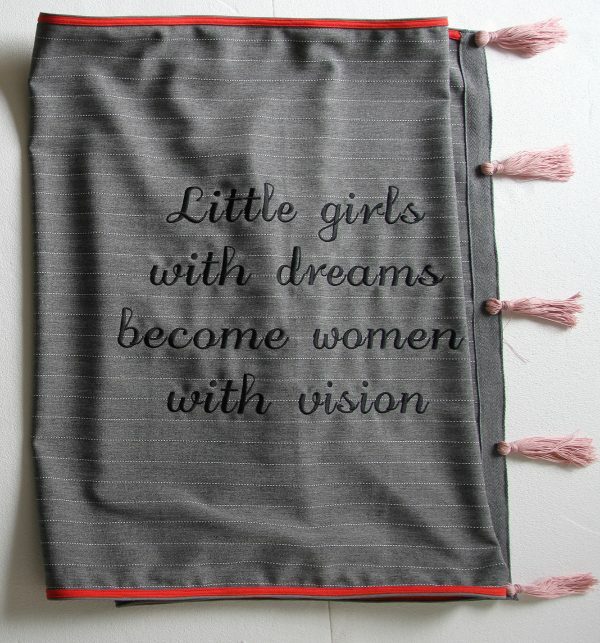 Remake gray “Little girls with dreams become women with vision” over sized scarf is the perfect trans seasonal layering piece.” Little girls with dreams become women with vision” is embroidered with black thread. 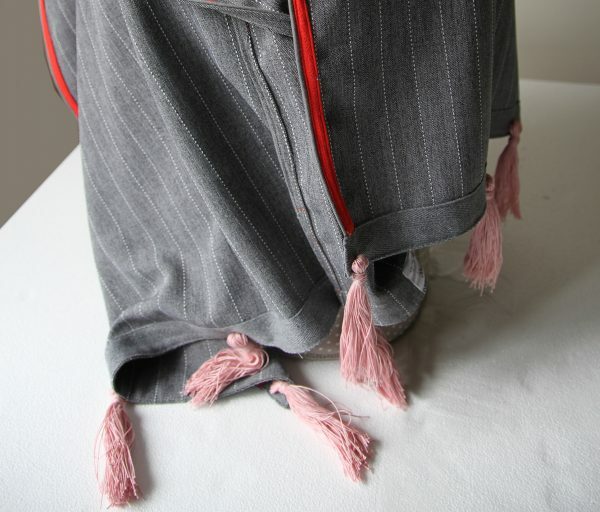 Is crafted from incredibly soft fabric. 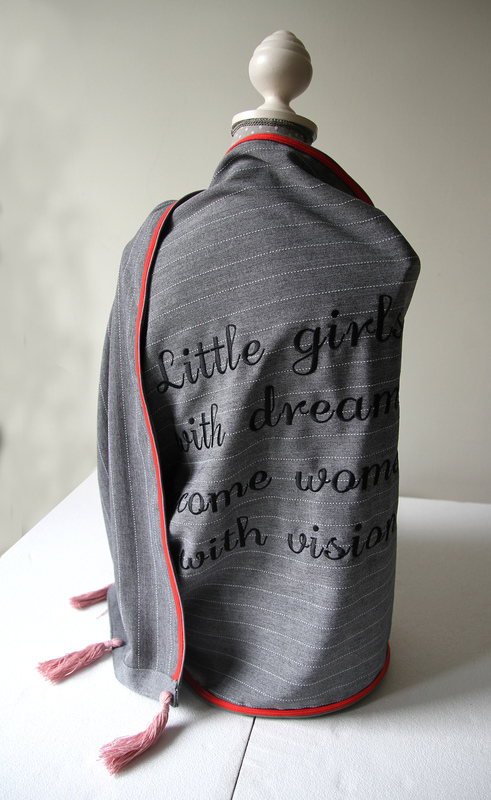 Scarf is large enough to wrap around your shoulders as a chic alternative to a jacket or coat. We think this timeless accessory matches perfectly with all-purpose. Made and design with love by Remake.